INSPIRE YoW UP (Project No. : 2013-1-NO1-LEO05-06186 ) a two year Leonardo da Vinci Transfer of innovation Program project developed with the support of the European Commission EACEA and the Norwegian Centre for International Cooperation in Education (SIU) is supporting the development of business startups and new skills to enhance entrepre-neurship and the creation of new jobs through innovative on-line training. The partnership led by ECWT – the European Centre for Women and Technology included DISY – Democratic Rally, Cyprus, MILITOS, Greece, Business Development Friesland, the Netherlands, CorkBIC, Ireland, and CEEI Burgos. The latter three are all members of the European Business Development Network EBN and CorkBIC has been in 2015 selected as the best performing EBAN Member of the year. All partners with considerable experiences and a long list of EU projects in entrepreneurship and the use of ICT in VET education. The project started off by a European level research and survey identifying the real needs of young people and women in specific for starting up their businesses. 891 people from the participating countries have answered the survey. The majority of the respondents were young women, living in urban areas. Overall, the surveys showed very positive attitudes towards trainings. All country surveys showed a clear belief that they will benefit greatly from (more) trainings (91%). A clear majority (61.92%) asserted – as expected – that having or lacking Initial capital is the largest obstacle for not starting their own business. 39.31 % chose Mentoring: techniques on how to mentor and how to give mentoring. INSPIRE YoWup partners created based on survey results a set of tools and methodology for the development of entrepreneurial skills for unemployed young and women and the online tool was tested with the goal to inspire and empower the national pilot project groups to start, run and grow their own businesses. Thereafter the tools were refined and finalized. 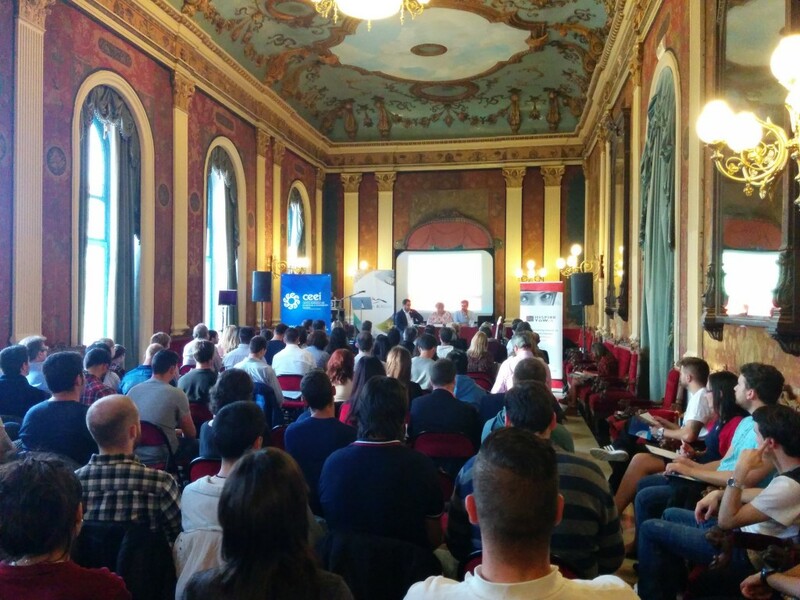 In October 2014 project partners organized also a highly successful pitching event in Nicosia in collaboration with Venture Academy, Ireland. The final conference organized by CEEI Burgos gathered more tan 150 participants in Teatro Burgos including leading representatives of Castilla y Leon región, Ayuntamiento de Burgos, employment organiztions, business development communities and testbeds like ANCES, FAE,AJE YuzzBurgos, Ade Inversiones y Servicios, Ayuntamiento de Burgos, Excma. Diputación Provincial de Burgos, Fundación Caja de Burgos, Fundación Caja Círculo as well as young people that have been involved in the piloting and many interested in future testing and last but not least representatives of the project partners. The conference attracted the most inspirational Spanish keynote speaker Salva Lopez, Professor in Marketing and Market Research at EASADE Business School, Barcelona who provided a transformational experience to the audience with his Business Rockvolution and lessons to learn from the world of music for increasing the efficiency of businesses. Project partners have agreed to continue their collaboration in INSPIREYOWUP2. As a first step towrds dissemination partners will present the project at EBN annual congress in Brussels 28-30 October.